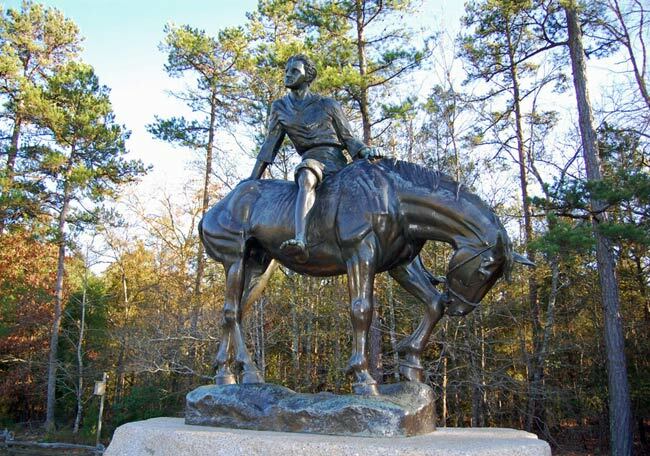 The Andrew Jackson State Park in Lancaster showcases a museum to highlight the childhood of our nation’s seventh president. 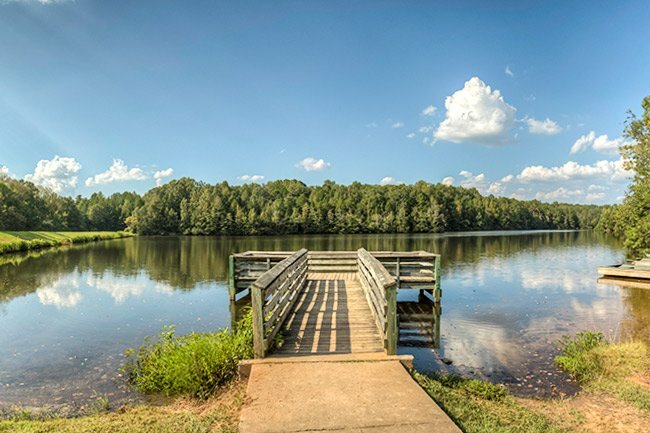 Andrew Jackson grew up in this area, which was originally called Waxhaws — named for the Waxhaw Indians who once inhabited the land. 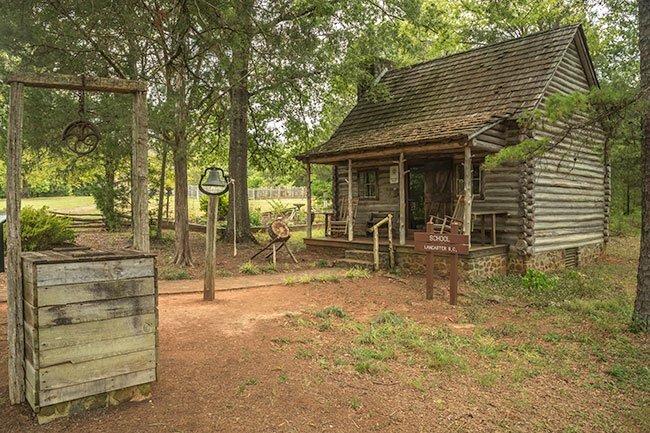 In addition to the museum, the park features an 18th-century schoolhouse replica, an amphitheater, a campground, hiking trails, and fishing and picnicking areas. The schoolhouse, pictured below, is a replica of a one room schoolhouse that would have existed during the time of Andrew Jackson. The idea behind the structure is to allow visitors to envision what life would have been like during the the American Revolution.